At 11:40 p.m. on April 14, 1912, RMS Titanic struck an iceberg. At 00.25 a.m. the next morning, the Titanic sent out a distress call. At 2:20 a.m. the ship sank. At 4:00 a.m. the Carpathia began picking up the 710 survivors. This is a story about three women who traveled in first class. One was a socialite; one, an actress, and one a self-proclaimed “unsinkable” woman who became the subject of a musical. 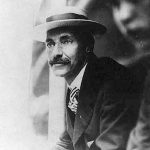 Madeleine Force Astor was a young New York socialite when she met John Jacob Astor IV, one of the richest men in the world with a net worth of $87 million. In 1909, Astor divorced his wife of eighteen years, and announced his engagement to Madeleine. It was quite the scandal. The couple decided to take an extended honeymoon which included a trip to Europe and Egypt. 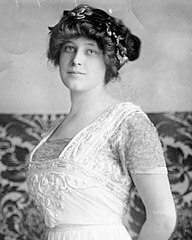 When they boarded the Titanic, Madeleine was five months pregnant. Traveling with the couple was Madeleine’s maid and nurse, John’s valet, and their dog. After the Titanic collided with the iceberg, John helped his wife into her life vest. When it was time to board the lifeboat, John assisted his wife, her maid, and her nurse through a window on the promenade deck to board their lifeboat. John asked the ship’s officer if he could board with his wife so he could protect her. The officer replied no man could board a lifeboat until the ladies were off the ship. That was the last time Madeleine saw her husband. In his will, John provided his wife with $100,000, income from a trust fund, and use of their house. He left $3 million for his child who was born August 14th. 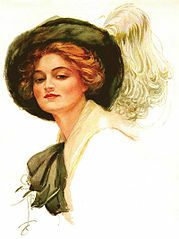 In 1916 Madeleine gave up the house and trust fund to marry a man she’d known since childhood. The had two sons and divorced in July 1933. They following November she married an actor. They divorced in 1938. Two years later Madeleine died in Florida. Dorothy Gibson was born in Hoboken, New Jersey. 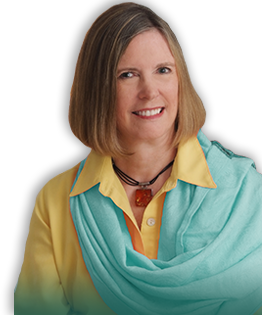 When she was twenty, she became The Original Harrison Fisher Girl with cover pictures in Cosmopolitan, Ladies Home Journal, and the Saturday Evening Post. In 1911 Dorothy began her career in silent movies, and the following year she and Mary Pickford were the highest paid actresses in the country. In 1912 Dorothy and her mother went on a six week vacation in Italy. They had to return earlier than expected to meet a filming schedule, and booked passage on the Titanic. They were playing bridge in the lounge when their ship hit the iceberg. Dorothy, her mother, and their two bridge partners escaped in Lifeboat 7 which launched from the ship at 12:45 a.m. The boat’s officer stationed the vessel twenty yards away from the ship. By 2:00 a.m., when it was clear no more passengers would escape, the officer ordered the boat away to avoid being sucked down by the sinking ship. Dorothy heard people aboard the ship cry out with yells, shrieks, and moans. In the lifeboat, there was complete silence. When Dorothy arrived in New York aboard the Carpathia, she was met by her lover and boss, Jules Brulatour. He presented her with an engagement ring and a plan to make a film about the Titanic. Dorothy would provide the story and be the star. 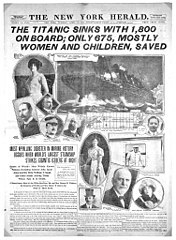 Saved from the Titanic was the first movie about the tragedy. With Brulatour’s divorce finalized, he and Dorothy married in 1917. Two years later the marriage dissolved, and Dorothy moved to Paris. She died in 1946 at her apartment at the Hotel Ritz. 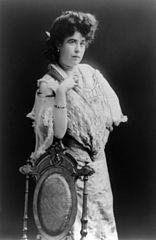 The woman later known as the Unsinkable Molly Brown was Margaret Tobin when she married James Joseph Brown in 1886. She was 19; he was a 31-year-old mining engineer. In 1893 he discovered how to shore up the walls of gold mines with bales of hay. His invention led to the biggest Colorado gold strike of the era. Humble Maggie Tobin became a social leader. In 1909 the couple separated. Maggie counted the Astors among her friends — she was one of the few who didn’t ostracize John and Madeleine after their marriage. She traveled with them in Egypt, and accompanied them onto the Titanic for the return voyage. There the similarities ended. Maggie assisted other passengers onto the lifeboats before finally being dropped onto Lifeboat 6 as it was lowered. She asked the officer to let the women row in order to keep warm, and began passing out oars. She urged the boat’s officer to return for more survivors. He refused, because if they went back the boat would either be sucked down as the ship sank, or people in the water would swamp the boat trying to board. At one point, Maggie threatened to throw the officer overboard. Maggie used her fame as a Titanic survivor to promote social causes. After the Ludlow Massacre in 1914, she fought for the rights of coal miners. She walked picket lines with the United Mine Workers and the United Garment Workers. In 1914, before women had the right to vote, Maggie ran for the U.S. Senate. Joanne Davidson. “Unimaginable Molly Brown: High Society and Union Sympathizer. The Denver Post. Oct. 16, 2017. Andrew Wilson. “Why the Titanic Still Fascinates Us.” Smithsonian Magazine. March 2012.